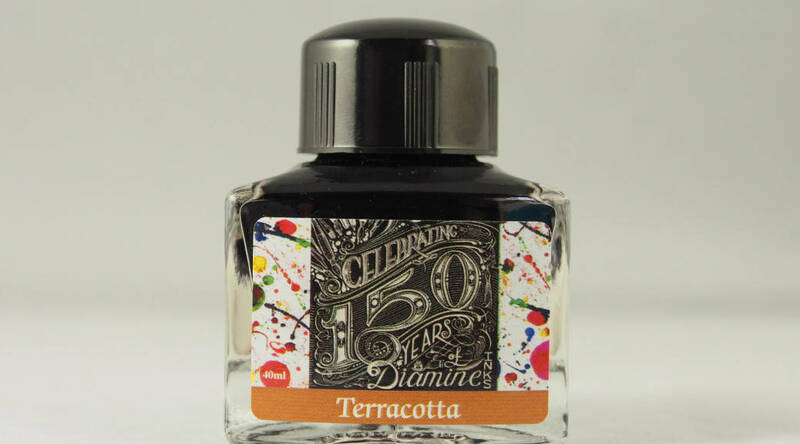 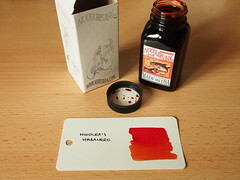 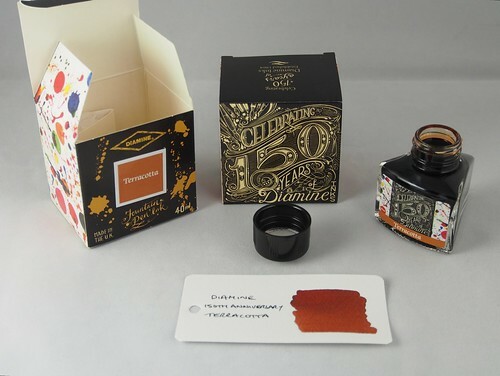 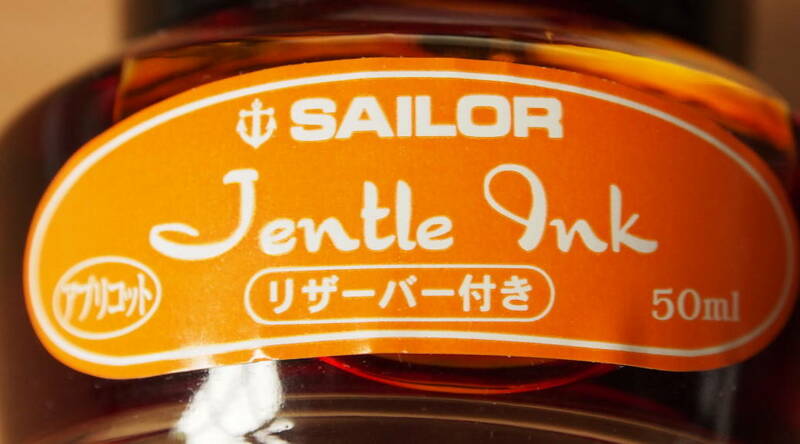 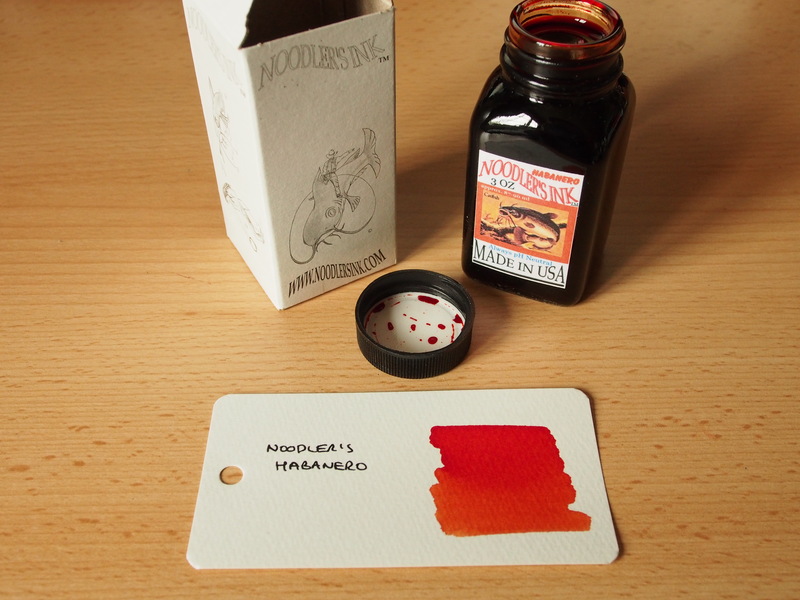 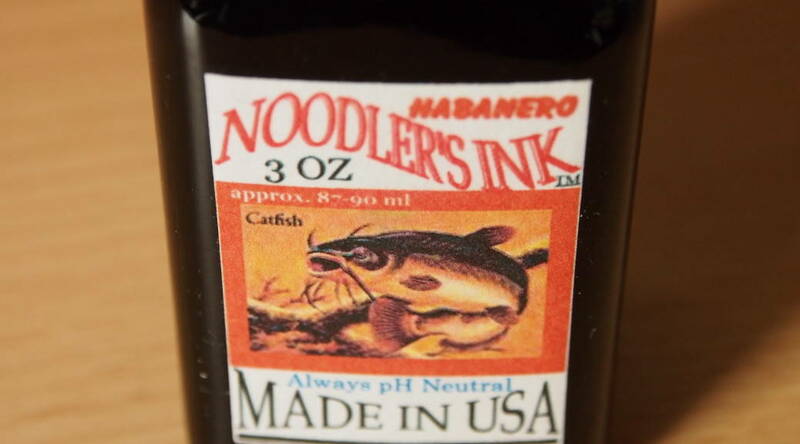 The third in this series of ink reviews is for Noodler’s Habanero. 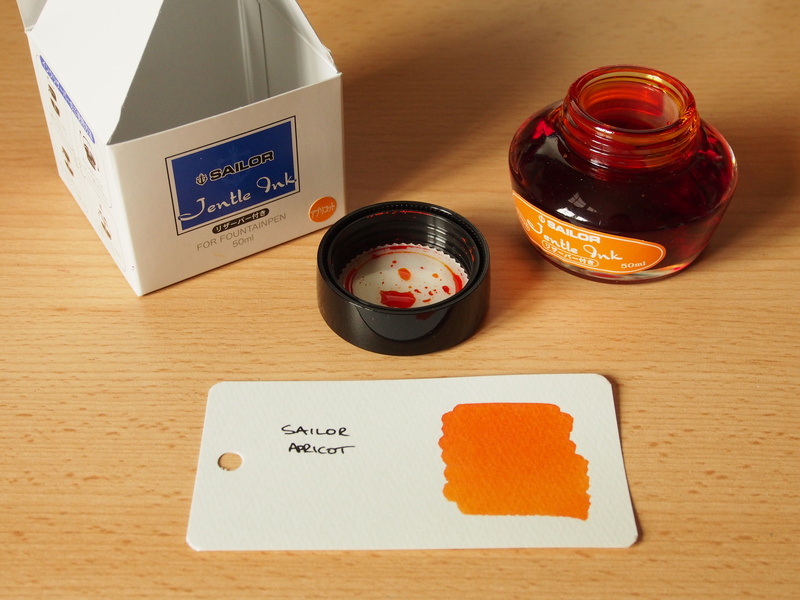 I originally bought an ink sample on Ebay a few months ago, loaded a pen with it, and recall thinking it was a very attractive colour. I flushed it before really running it through its paces though. 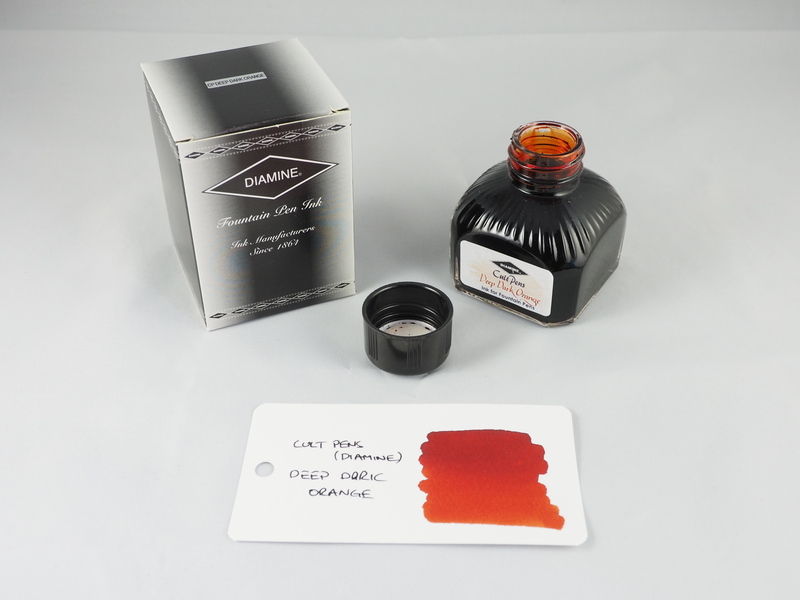 When I saw the ink was available from a UK supplier (at £10 for a 3oz bottle), I though I would stock up while I had the chance. 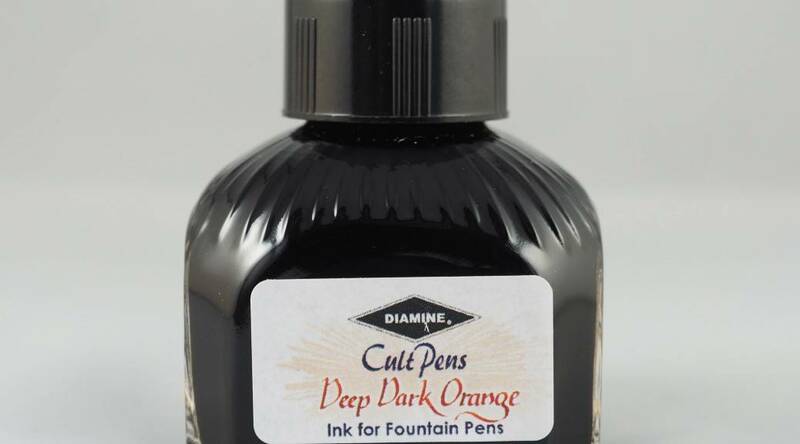 Google tells me that 3oz equates to 88.7206ml (the labels say 87-90ml), so I would consider this ink to be modestly priced (cheap sounds wrong).